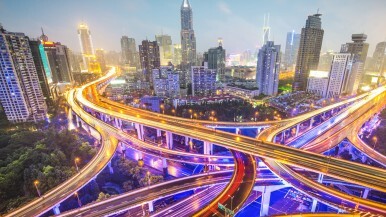 Always online, connected with their surroundings, driving themselves: over the next decade, cars and car driving will make huge strides forward. 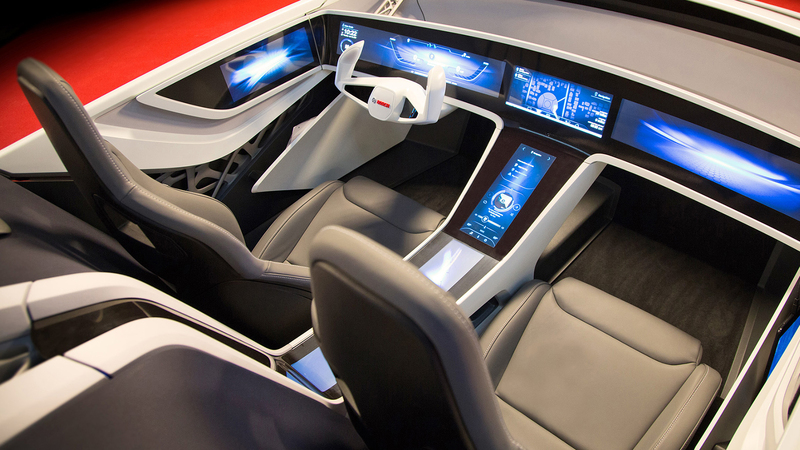 New functions also have repercussions for the design of car interiors. The latest Bosch show car shows how car and driver will soon be able to communicate with each other – and the possibilities that will arise from this. Bosch CEO Dr. Volkmar Denner firmly believes that the car of the future will be a new digital living environment. After all, highly automated driving on the freeway will do more than significantly improve safety and fuel-efficiency. From the cars of the future, drivers will also be able to communicate – including by video conference – with others, such as friends, family, or coworkers. Alongside the home and the office, the car will become the third living environment and a personal assistant, Denner says. 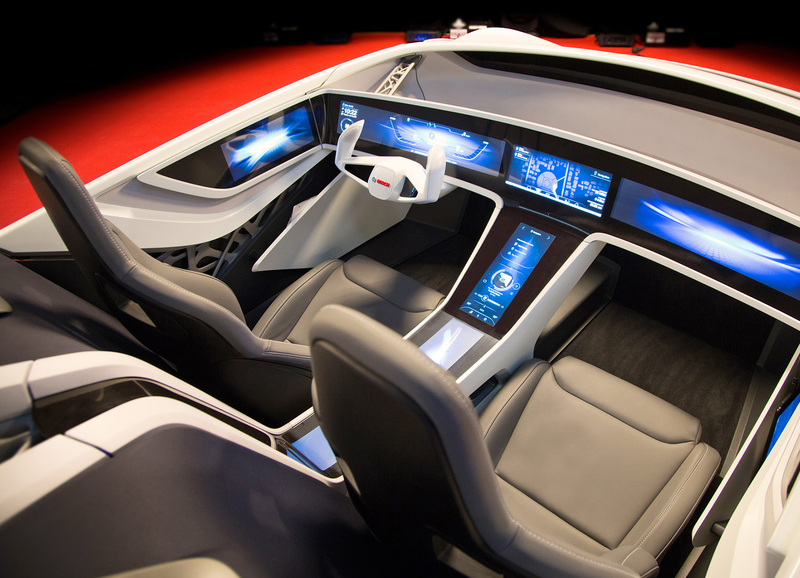 The show cars human-machine interface follows an integrated approach. It provides the driver with one single interface that supplies information in the interactive form best suited to the given situation. In practical terms, this means that Bosch has replaced the usual front and middle consoles with large-surface monitors. These can display any information flexibly, as required by the given situation. All-round interior lighting completes the display concept. Its color is selected based on the drivers preference, but the lighting can also warn of potential hazards: if a pedestrian or cyclist is about to cross in front of the vehicle, the interior lighting blinks rapidly to direct the drivers attention to the left or right side as necessary. This ambient light function is therefore another of the vehicles extensive range of safety features, which also include lane-keeping support and emergency brake and traffic jam assists. In the Bosch show car, the driver has access to real-time traffic and weather information, both from the cloud and in social media and communication applications. To ensure that drivers do not endanger others when using these functions, they can be used only during automated driving. Bosch engineers paid special attention to the safe and seamless transfer of this responsibility from the driver to the car and back. 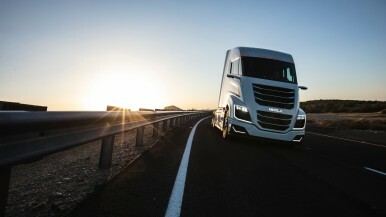 In a first step, drivers are informed when highly automated driving is possible. 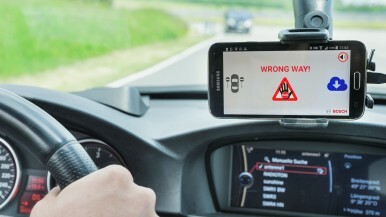 If they want the car to take control, they simply place their thumbs on specific contact points on the left and right sides of the steering wheel for three seconds. If drivers wish to regain control of the vehicle or are about to exit the freeway, they use the same procedure. 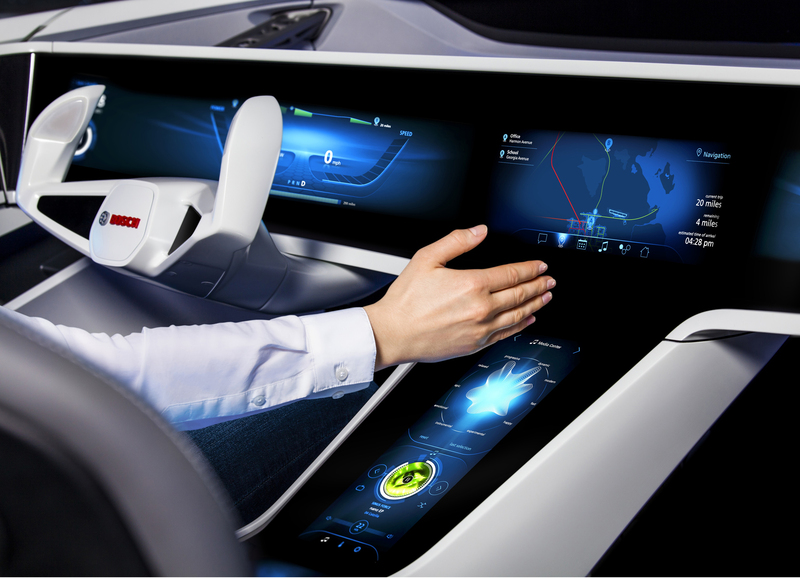 It is in automated driving that the strengths of the flexible display concept really come into their own. Images from a video conference, e-mails, or media player then take precedence; a simple swipe is all it takes for drivers to shift back and forth seamlessly between the different displays. Adaptive algorithms adjust the content to the situation and drivers habits. Preferences such as seat and mirror positions or preset radio stations can of course be saved as well. Fingerprint identification allows the driver to start the car. At the same time, personal settings are retrieved from the memory. Over the internet of things, the vehicle can also connect with other domains, such as the drivers home. If a visitor rings the doorbell, the car switches on the intercom. A fingerprint sensor in the car allows the driver to open the front door remotely. In this way, a package delivery person can be admitted into a sealed-off foyer, for example. The driver can also confirm receipt of the package by fingerprint. Once again, this cannot happen without automated driving. Once the vehicle arrives at home, it reconnects with the home security system, allowing the driver to first retrieve images from the homes exterior cameras before driving onto the property. It is also possible to view the vehicles direct surroundings using the on-board cameras. This prevents trespassers hiding behind the car from gaining access to the property. Such features are particularly attractive in countries where security is at a premium. Once the passengers have all exited the car, it then parks itself in the garage – ready for the next drive. Created in cooperation with the prototype developer EDAG, the show car features an outer skin consisting of lightweight 3D-printed modules.